Rob Perri is a filmmaker, music video director and photographer. 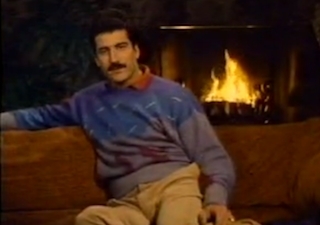 He's most well known for the short film I'm Keith Hernandez, which won the Best Short Film award at the 2007 Chicago Underground Film Festival. Read more about this filmmaker at his official website and watch his films on Vimeo. I’m Keith Hernandez by Rob Perri is a spot-on and hilarious parody of glowing TV biographies of famous people. What’s true? What’s not? Black Rock City Film Festival, the first ever desert-set underground film fest, is a cornucopia of groovy short films screening at Burning Man.